How can a service that claims to be “affordable” justify charging the amounts that they do? What responsibility do they take for the quality of the service they offer? Is online counselling effective? Why are they so keen to deflect the controversy as YouTube Drama? BetterHelp is the world’s largest e-counselling platform and, according to their website, their mission is to make counselling accessible, affordable and convenient. Accessibility, affordability and convenience are subjective and hard to measure, but let’s assume that we accept that BetterHelp was created as a way to improve access to counselling. The professionals who work through BetterHelp are licensed and credentialed therapists who were certified by their state's board to provide therapy and counseling. However, while the service may have similar benefits, it's not capable of substituting for traditional face-to-face therapy in every case. Please note that your provider won't be able to make any official diagnosis, to fulfill any court order or prescribe medication. If you’ve ever had a sensitive or difficult conversation via text, you will know that it’s INCREDIBLY difficult to convey emotions, thoughts and feelings properly. For one thing, tone and intent are harder to get across AND it is also subject to the interpretation of the receiver. I’ve been in many situations where text conversations have gone awry for this reason alone. The quality of conversation being had would vary so much depending on the communication skills AND state of mind of both parties involved. I know that, in this “digital age”, there’s something appealing about the convenience behind texting a counsellor - but having ALL OF YOUR COUNSELLING be text and phone based is pretty similar to whatsapp-ing a picture of your mole to the doctor and accepting a diagnosis based on that. I think it’s very important that people don’t trivialise mental health (their own or otherwise) and, before turning to a service like BetterHelp, you speak to your doctor and have a proper assessment - don’t fall into the trap of believing that your are “seeking help” because you have signed up to a service like this one. Proper face to face treatment first and foremost, please. I know it can be scary. Any mental health services provided on the BetterHelp platform are provided by third parties. The service BetterHelp provides is limited to providing the platform through which you communicate with counsellors. In their terms and conditions it specifies that you should not make mental health or well-being decisions based on any information given to you in the counsellor services and that they take no responsibility as to whether or not the counsellor services are relevant, correct, useful, satisfactory or suitable to your needs. You agree, confirm and acknowledge that you are aware of the fact that the Counselor Services are not a complete substitute for a face-to-face examination and/or session by a licensed qualified professional. 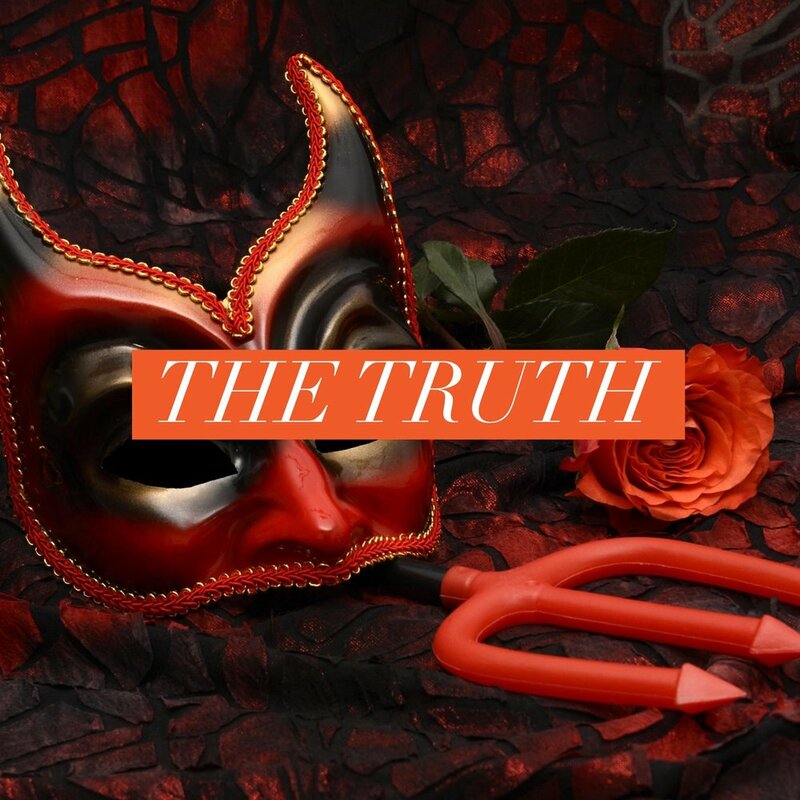 You should never rely on or make health or well-being decisions which are primarily based on information provided as part of the Counselor Services. Furthermore, we strongly recommend that you will consider seeking advice by having an in-person appointment with a licensed and qualified professional. BetterHelp is NOT SUITABLE for people as a substitute for treatment of mental illness. The service they DO offer is pretty vague. Some of the things BetterHelp claim that they “may be able to help” with are matters that “interfere with your happiness”. And, while they specify some areas that some counsellors they work with specialise in (including trauma, eating and addiction), they also acknowledge that it isn’t suitable for anyone in crisis, who is at risk of self harm, has a severe mental illness diagnosis or is a minor. They don’t employ the counsellors or accept responsibility for the conversations their users have with the counsellors, so what do they do? Well, when you sign up to the service you accept these terms and conditions and also accept that BetterHelp do not actually provide medical help, mental health services or other professional services, but rather that they provide the facility through which others can provide you with “counsellor services”. Beyond maintaining the platform and its functionality, it is unclear from the website what BetterHelp are responsible for, but their terms and conditions are very thorough in absolving them from accountability when it comes to the actual quality of counselling you receive. BetterHelp are primarily a service that match you to a counsellor. I started the Sign Up process on the site to find out 1. How much the service costs and 2. How up front they are about these costs. I answered the 33 pre-sign up questions (it’s a pretty standard mental well-being questionnaire) and made sure that I answered them truthfully. Bearing in mind that I am someone with PTSD and that self harm is a risk factor for me, I was interested to see whether or not I would be able to use their service (reminder - they say it is NOT suitable for people in my circumstances). Guess what? I was able to sign up (subject to those pesky Ts and Cs of theirs of course. After verifying my e-mail address, I was invited to say whether or not I had preferences in my counsellor (including gender and - surprisingly as I am not religious and they now know this - a Christian counsellor). I selected “female” and “non-religious”, before being faced with a lengthy questionnaire where I get to select various expertise levels across different topics including things that were worryingly serious, such as trauma, abuse and anger management. Ugh. I chose trauma, anxiety and sleeping disorders. £200.00 per month is well out of most people’s price range and - MOST IMPORTANTLY - that would get you a weekly face to face therapy session. This is an outrageous price to charge. Very briefly then, I’ll say that BetterHelp have been keen to point the finger at the various YouTubers who have been criticising their services, while defending the integrity of the YouTubers they’ve been sponsoring. It seems as though they are keen to add fuel to the fire here, implying that there’s a us vs them thing going on between YouTube stars who support them ad YouTube stars who don’t. In fact, they actually did point out themselves that the “controversy” has brought them more sign ups. Unless you’re pretty into watching YouTube (like I am), there’s probably way to much backstory at this point for me to bring you up to speed - but I’ll point you in the direction of the PewDiePie video (below), where he sums up pretty well I think. (honestly there’s a hole of BetterHelp videos you could fall down at this point). Felix (PewDiePie) has come under fire repeatedly in the media for controversies in the past, but he has been consistently mature and careful when addressing mental health issues (or at least in the year or so I’ve been watching). It’s also worth noting that, while Felix says he thinks YouTubers should take the time to research what they are promoting, it is BetterHelp that he points the blame at. 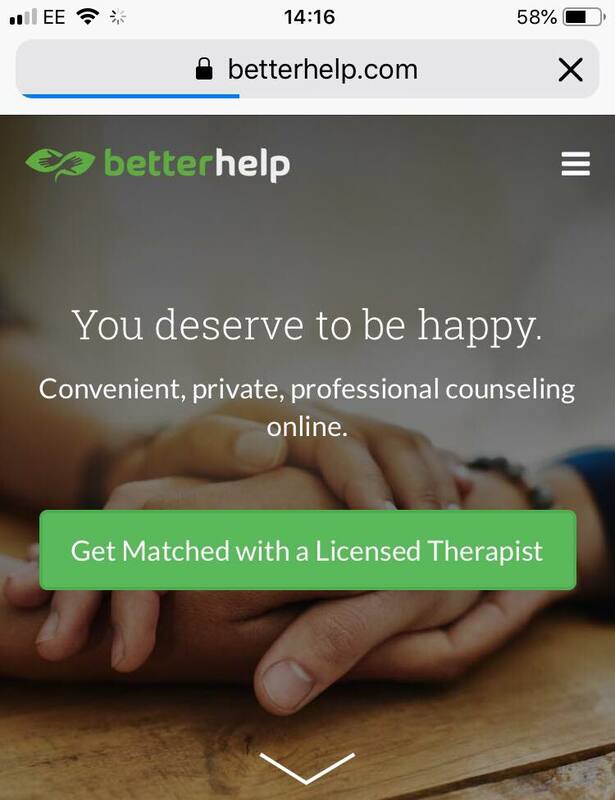 I’m not saying that there isn’t room for a service like BetterHelp in the world; I can see potential in the service as a substitute for say… life coaching? But I remain totally unconvinced that a text based counselling service is appropriate as mental health treatment. While it’s becoming totally normal to uber your taxi, tinder your date and deliveroo your food; I won’t be extending that informality to any service that could potentially save my life. I did try some e-mail based counselling in 2009, following my Mum’s death - it was offered to me through the university I was attending and, while the counsellor was lovely, there simply wasn’t enough communication to make a difference - it’s far too easy to keep counselling at the back of your mind, if it’s email based. Taking care of your mental health should be a priority for you, not something that should be as thoughtless as booking an uber. If you are sure that online counselling is right for you (and you’ve spoken to your doctor about this), find a service that is similar, but that isn’t BetterHelp. Given the confusing and conflicting information that they have on their own website, I very much doubt that they will take a responsible approach when helping you manage your mental health. P.S. if you like my work and want to support me, please consider buying me a coffee.